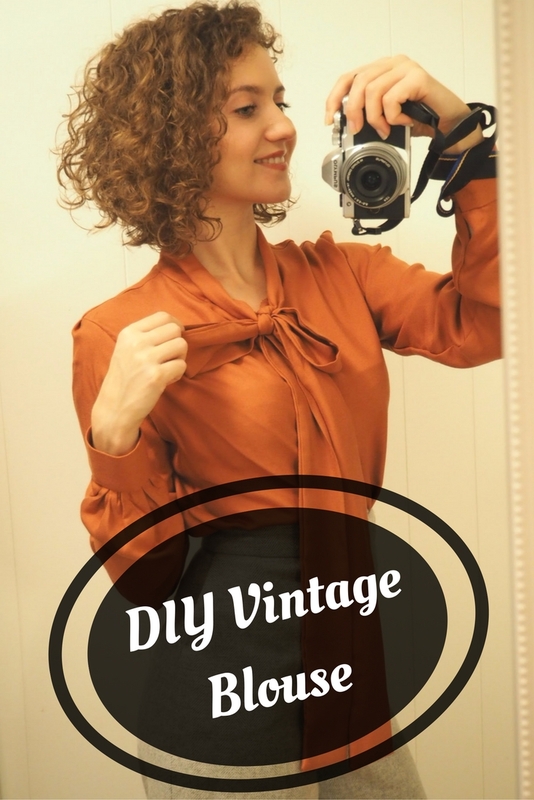 This Vintage Blouse with a Bow s a part II of my Free Vintage Blouse Pattern tutorial. 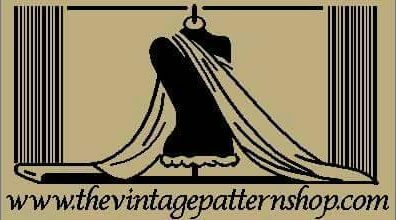 In this post, you will learn how to assemble the pattern you’ve made after reading my previous post. We will also make a small alteration, which you can use in any other project, to achieve this lovely bishop sleeve effect (btw, who on earth came up with this name?!). 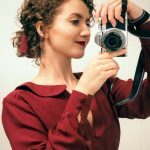 I love all blouses with puffy sleeves and bows, so I couldn’t wait to make mine! For my blouse, I used twill viscose, very soft, warm material. You can choose any material that inspires you but has enough drape to fall over your body in a lovely, loose manner. Before you start – it may seem like a lot of work. Making your own blouse is a little complicated, hence the long explanation. However, once you sit down to it – you can have your own blouse in one afternoon! 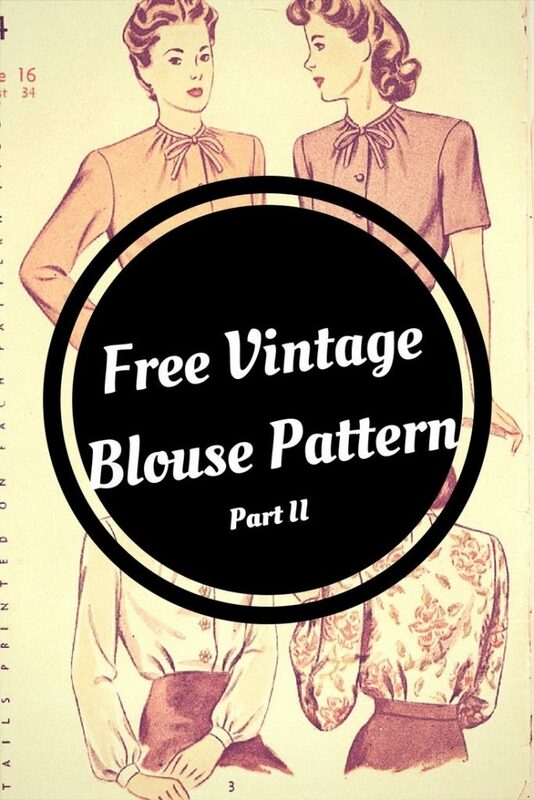 Follow the steps of the first part of this post to learn how to make a basic blouse pattern. Skip step number 3. 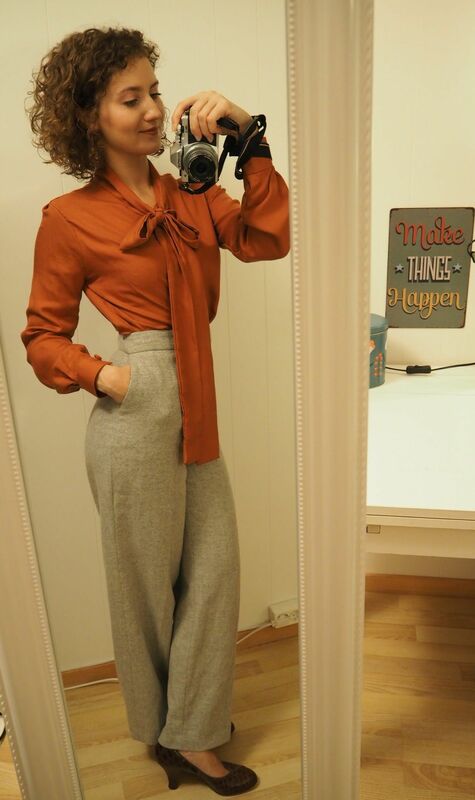 This blouse doesn’t have a collar. We will finish it off with a lovely bow! 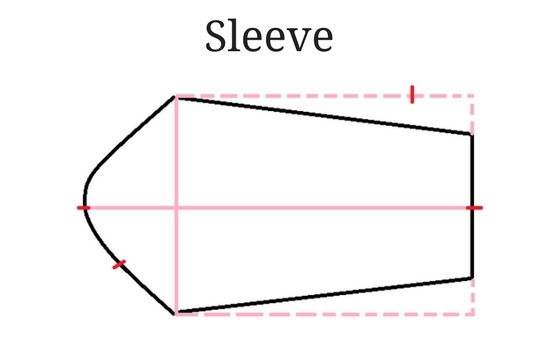 To get the bishop sleeves all you have to do to your existing pattern is extend the bottom part of the sleeve. I extended mine by about 5 cm on each side. I wanted my cuff to sit loosely on my wrist and be rather long. 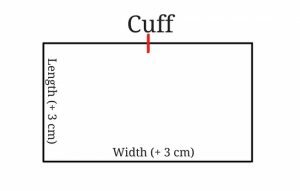 Here are my measurements. Adjust yours to your wrist size. Width – 21 cm; Length – 13 cm. Adjust yours to your wrist size. 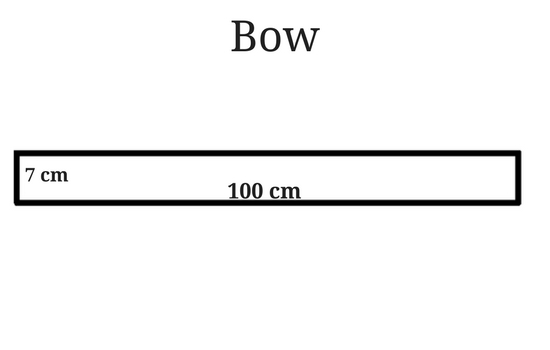 The bow is really just a long, square-shaped strip of material. I had one such strip left over after cutting out my pattern pieces and was quite excited to incorporate a loooooong bow into my pattern. 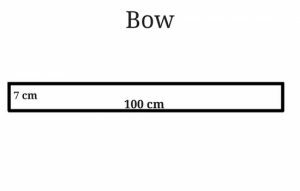 You can, of course, adjust your bow length to your liking. Remember to add 1,5 cm seam allowance to all your pattern pieces! These are all the pieces you should end up with after following the instructions. 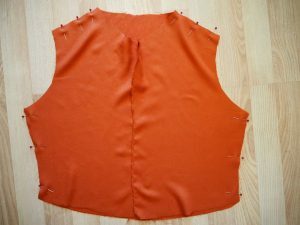 Cut out the back bodice on the fold. 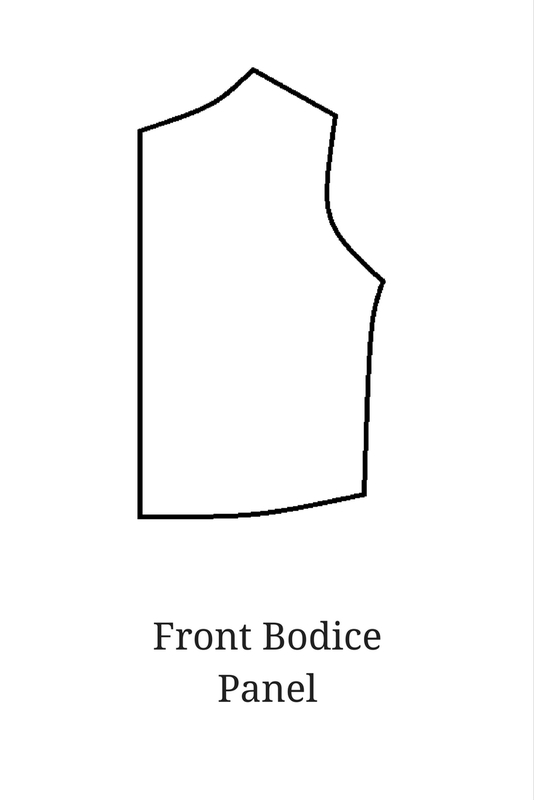 Cut out two pieces for front bodice, sleeve, cuff, bow. I found it useful to make notches (5mm) in few strategic points. 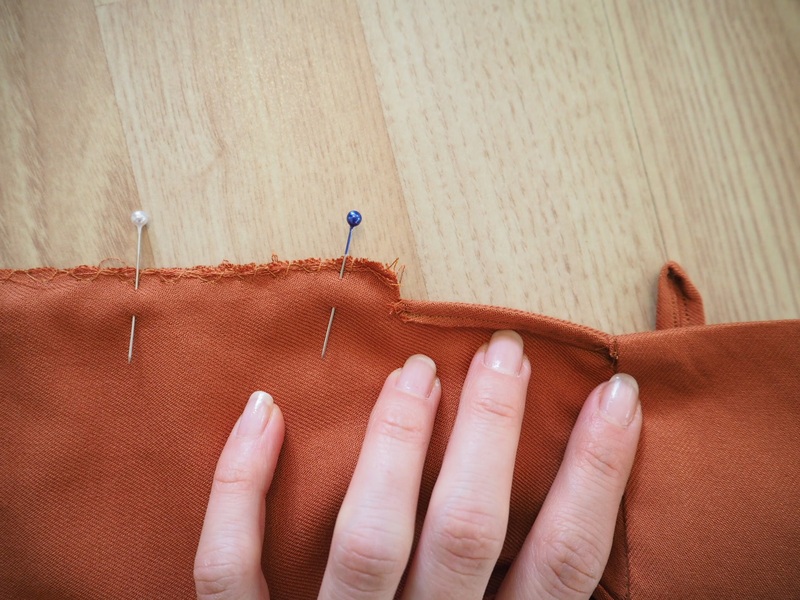 Before you start sewing – keep in mind that you should zigzag or overlock any raw edge of your blouse pieces (except for the neckline – it will be bound in the bow straps). I personally don’t have an overlock machine and a simple overlock foot works out just fine. Pin and sew shoulder seams and side seams of front and back panel right sides together. Press the seams towards the back. Put the front bodice right sides together and sew it up till about 5 cm away from the top. 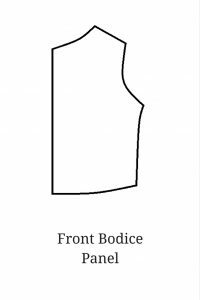 You can try on your bodice at this point to see if you need any adjustments. 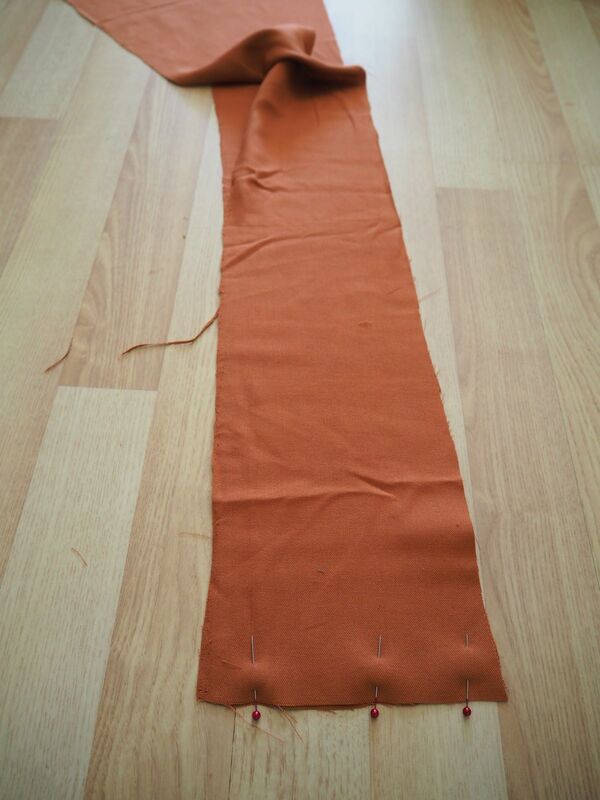 First, attach both stripes together at the center and sew. You will have one long, square strip. Press up the seam allowance on one side of the strip. You don’t need to do it all the way around, the part where you’ll attach it to the neckline is enough. Next, place the bow strip right sides together with the neckline of your bodice (attach the unpressed side of the bow). 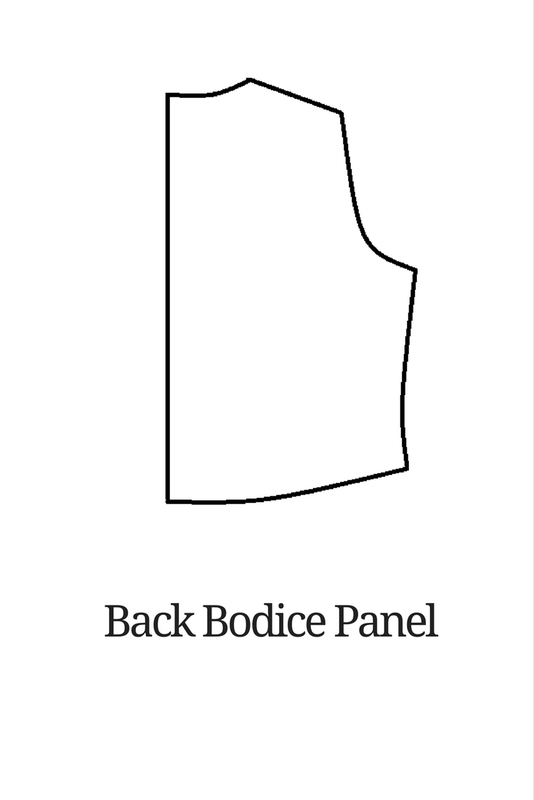 Align the center seam of your bow with the notch you’ve made in the middle of the back panel. 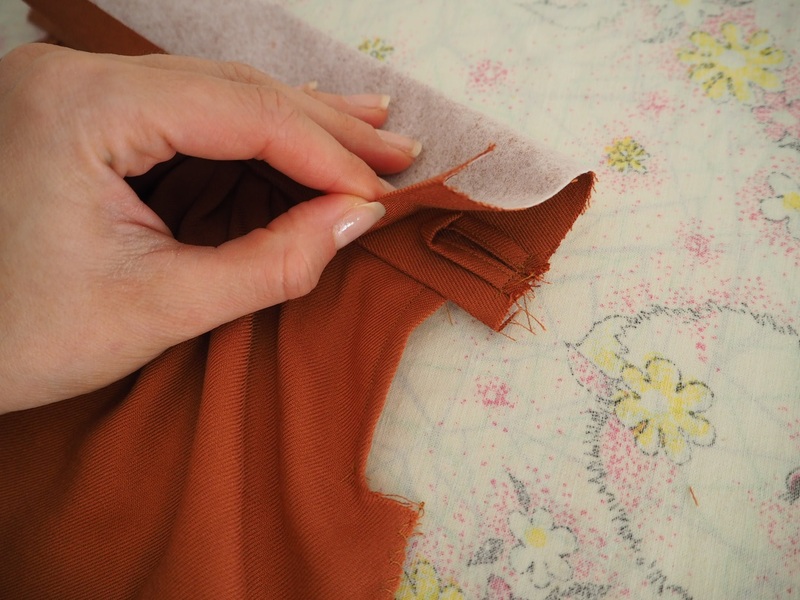 Sew and press the seam up towards the bow strip. Then, fold the strips in half, right sides together and sew from the end of the strips till about 5 cm away from where you attached it to the bodice. Now pull the ends through the opening you’ve left for yourself and turn your bow right side out. Your bow is almost ready! Slip stitch the remaining open part of your bow stripes to your neckline. 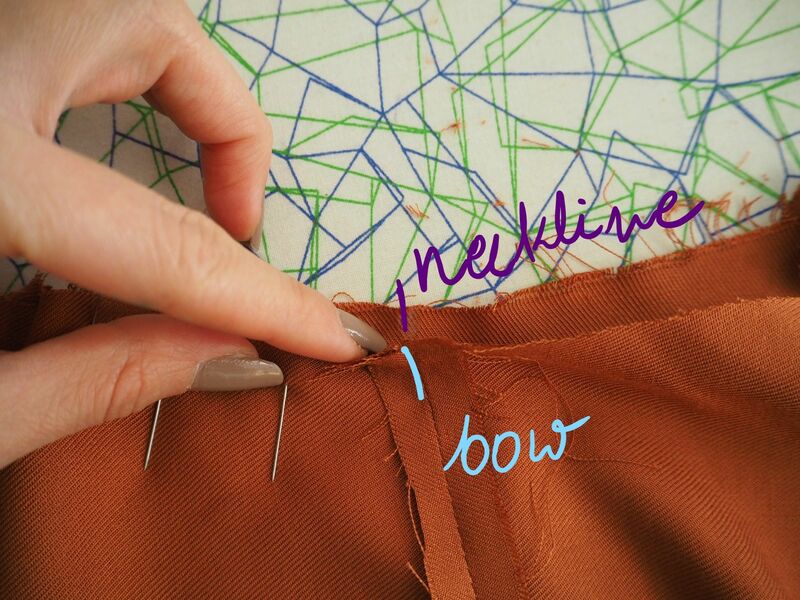 This way you will encase raw edges of your neckline inside the bow. I didn’t want to stress about getting my hand through the sleeve, so I decided to leave the bottom part of it opened. Remember the notch I’ve made 7 cm away from the sleeves hem? This 7 cm has to be enclosed with a double hem (fold it 0,5mm, press, fold 0,5 mm and topstitch). 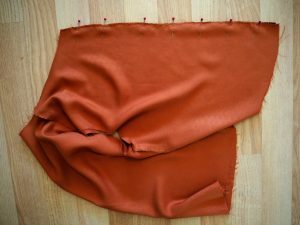 Once this is done, create two rows of gathering stitches on the sleeve’s hem. Don’t go all the way to the edges, leave around 3-5 cm on each side. I added a covered button to my blouse, which requires adding a button loop while sewing up your cuff. It is optional. You can choose a button of your liking and simply make a buttonhole with your machine. Let me know in the comments if you would like to learn how to make covered buttons and how to attach button loops. To attach the cuff, first press in seam allowance on the unnotched edge of the cuff. I added fusible interfacing to add body to my cuffs. Take the edge with a notch in the middle and match it with a notch in the middle of your sleeve (right sides together). 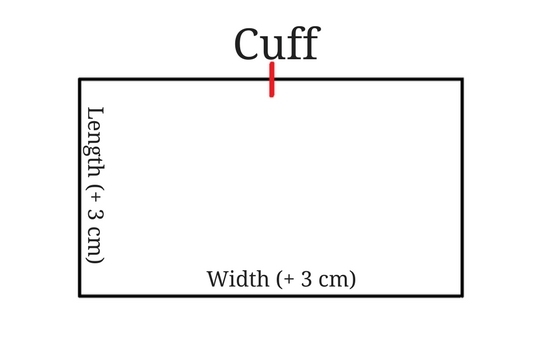 Pin the sleeve to the cuff, making sure that the cuff extends by 1,5 cm on each side. Gather up the sleeve hem to fit in the cuff. Sew together. 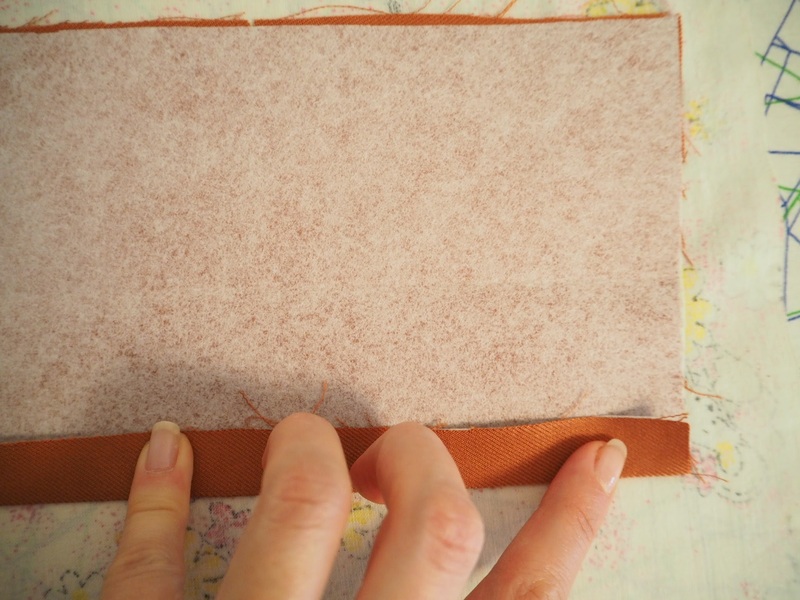 Next, fold your cuff right sides together and stitch at 1,5 cm seam allowance. Clip the extra seam allowance. Flip the cuff to the right side and tease out the edges. 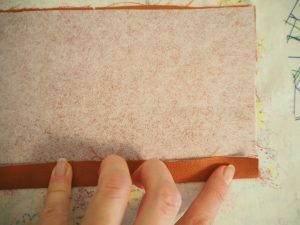 The only thing left is to slip stitch the edge with turned up seam allowance to your sleeve and you’re done! 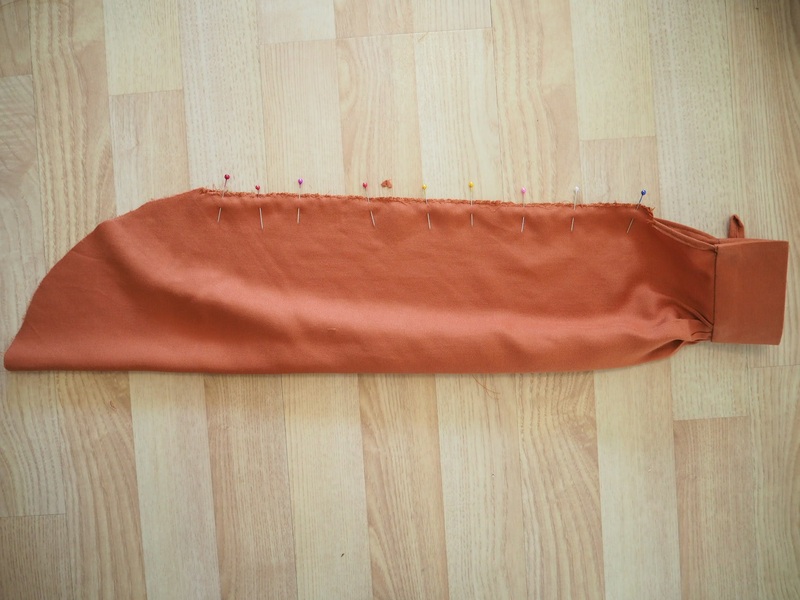 Fold the sleeve in half and sew underarm seam right sides together. Turn the sleeve right way out and the blouse inside out. Insert the sleeves into armholes. Remember the notch you’ve made on the back of the sleeve piece? 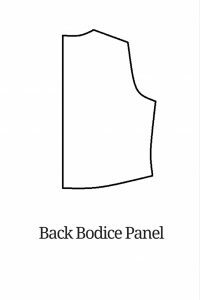 Make sure the back of the sleeve is matching the back bodice part. 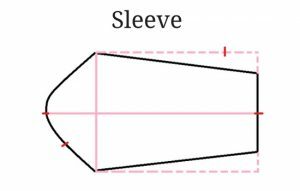 This way you’ll insert the correct sleeve into the correct armhole. 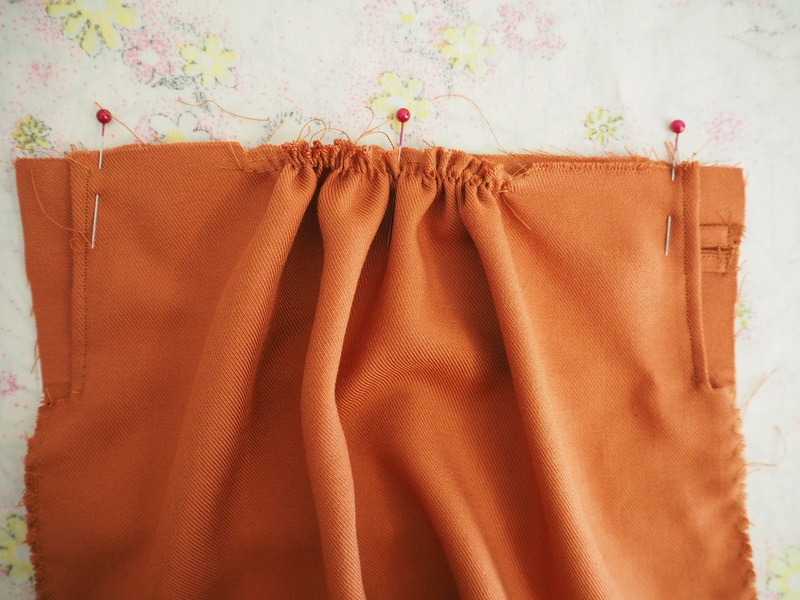 Sew the sleeves to the armhole seams. 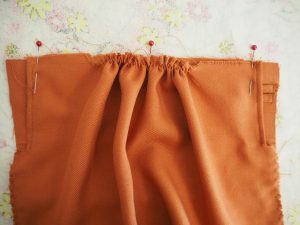 All you have to do is hem your blouse. I overlocked my edges, turned it 0,5 mm up and topstitched. CONGRATULATIONS FOR SURVIVING THIS EXTREMELY LONG POST! 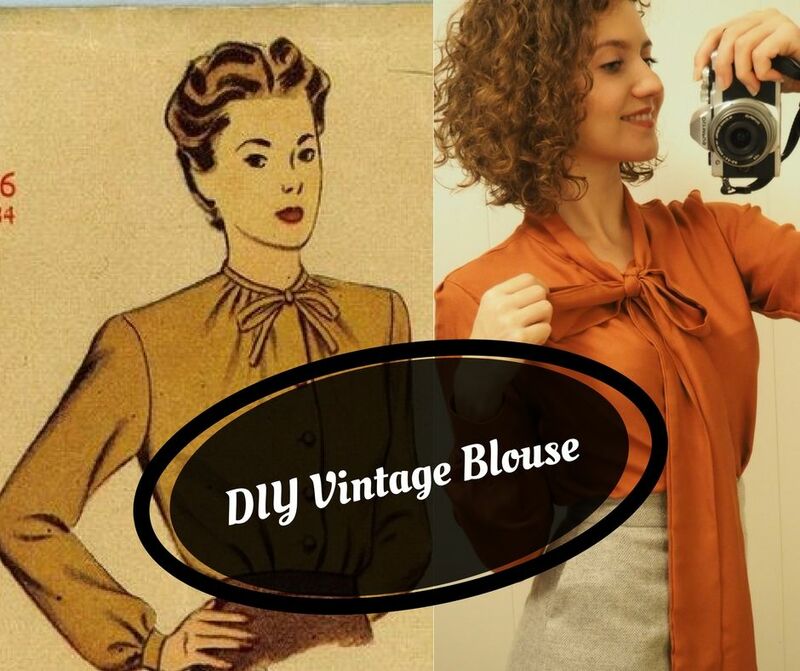 Please let me know if you feel like making your own, vintage-inspired blouse! It seems to be easy but I must try once superb blog! Great! I love a good fitting blouse and will try this out. Marlena, your tutorial only shows a bodice pattern. 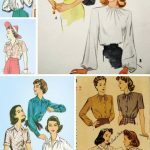 How were you able to lengthen the bodice to make it into a long enough blouse? The blouse is beautiful.